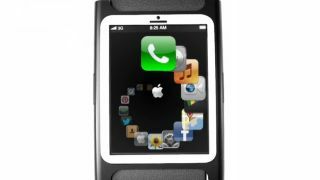 Apple's iWatch may go well beyond the call of duty of current fitness devices with the inclusion of some life-saving technology. Insiders speaking to the San Francisco Chronicle claim that Apple is looking at using its watch to help predict heart attacks. Apple is reportedly doing this studying the sounds blood makes as it flows through our arteries. By recognising poor blood flow through plaque-heavy tunnels, the technology will alert the user that it's time to seek medical assistance. Heading up this research is said to be Tomlinson Holman, the inventor of THX and 10.2 surround sound, who joined Apple back in 2011. He was (supposedly) originally tasked with improving audio across Apple's devices, but that role has now expanded into something much bigger. This heart health rumour joins a bunch of other big claims about Apple's mythical iWatch, including that it will have a sapphire screen, will be charged by the sun, has claws as big as cups, and that its yawn sounds like Liam Neeson chasing a load of hens around inside a barrel.